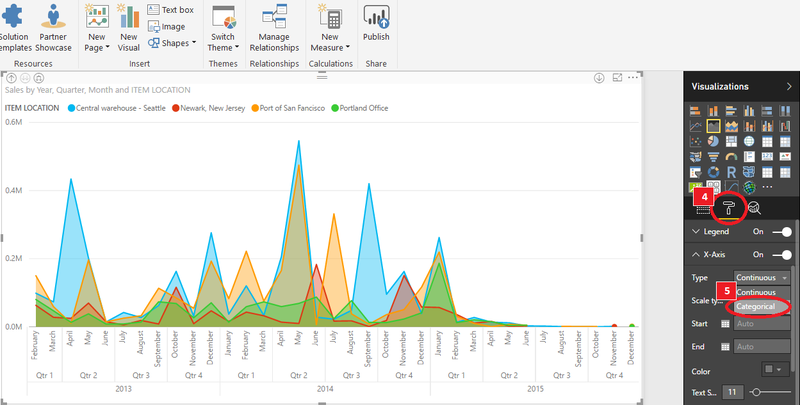 This time we will look at the Power BI Desktop Updates for the month of June 2017, which beside highlighting the ‘almost’ half mark of 2017, also brings with it tides of Power BI happiness and rainbows (It’s true). 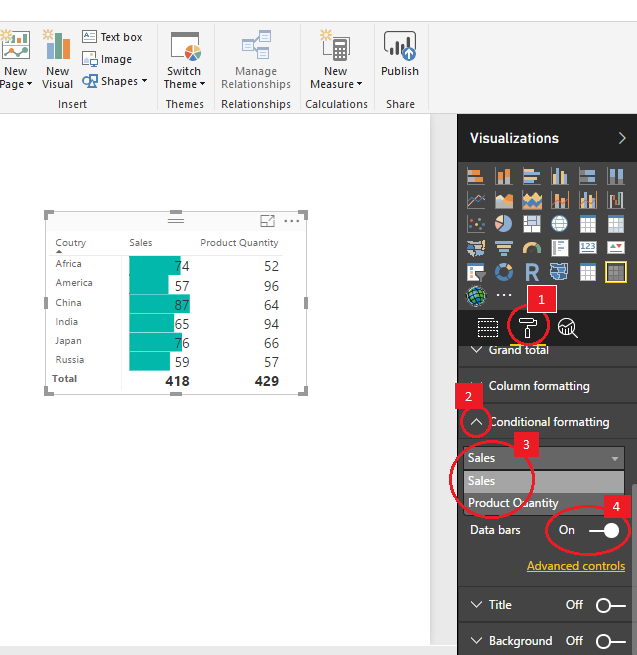 For this edition, I will be focusing on some of the reporting updates of Power BI, so let’s see what these guys have been cooking for us…. I know….at first you may think, Data bar?, sounds like a place where IT professionals go for a drink after a hard day’s work right? – but as fun as that may sound, it’s not what were talking about here. So what exactly is a data bar? Remember these? Data bars were first made famous in Microsoft excel where they made the otherwise very boring looking tables & pivots allot more exciting and visually stimulating. 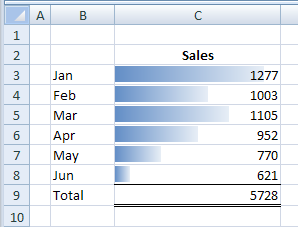 It is part of the conditional formatting family, but this time, instead of applying a particular color to a line item based on its value, the data bars allow you to quickly and easily see the top and bottom values (and everything in between) without squinting your eyes to try to compare detailed numbers. It’s really a very neat and useful visual aid for tables & matrices. 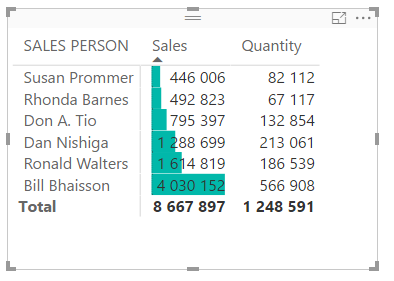 Let’s see how you would go about adding this to a table in Power BI Desktop. 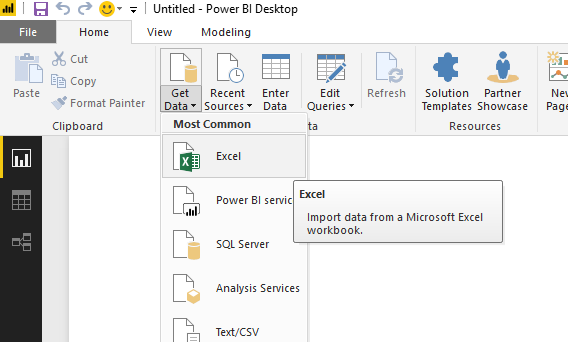 Here we have some excel data which we will import into the Power BI data model. It’s a simple table, which shows the total sales and product quantity by country. Import the excel file by clicking in ‘Get Data’ and choosing ‘Excel’ as you import choice. 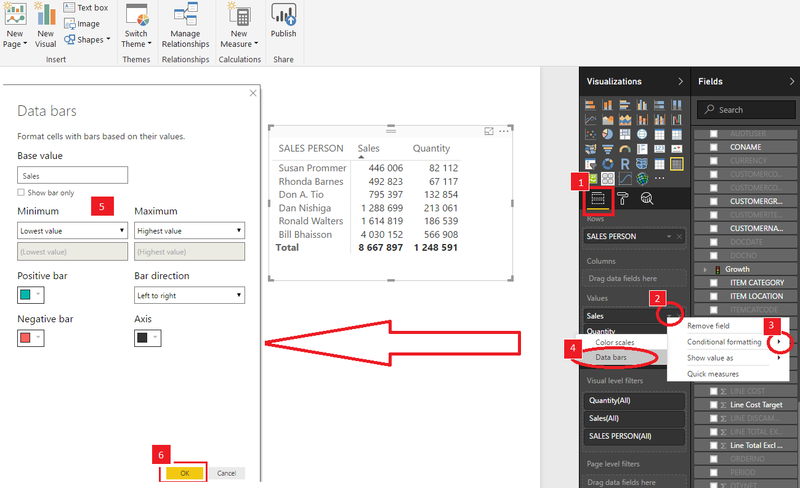 Select the sheet you would like to import and click on the ‘Load’ button to load your excel sheet into the Power BI data model. 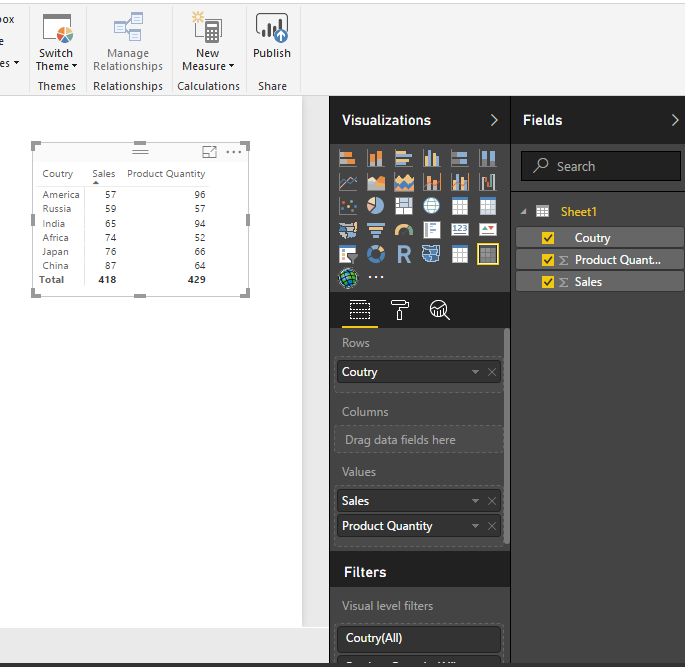 Once the data has been loaded, select the table or matrix (preview) visualization and add your data fields, first ‘Country’, then ‘Sales’ and lastly ‘Product Quantity’. At this point, you can also sort your table by ‘Sales’ or ‘Product Quantity’ in ascending or descending order by clicking on the column header, if you choose to do so. Now there are two ways in which we can add the data bars, let’s look at the first one…. And there you have it, visually beautiful and useful data bars! Of course you can also do it for quantity, just follow the same easy steps! With this new exiting feature, let’s look at the problem first. 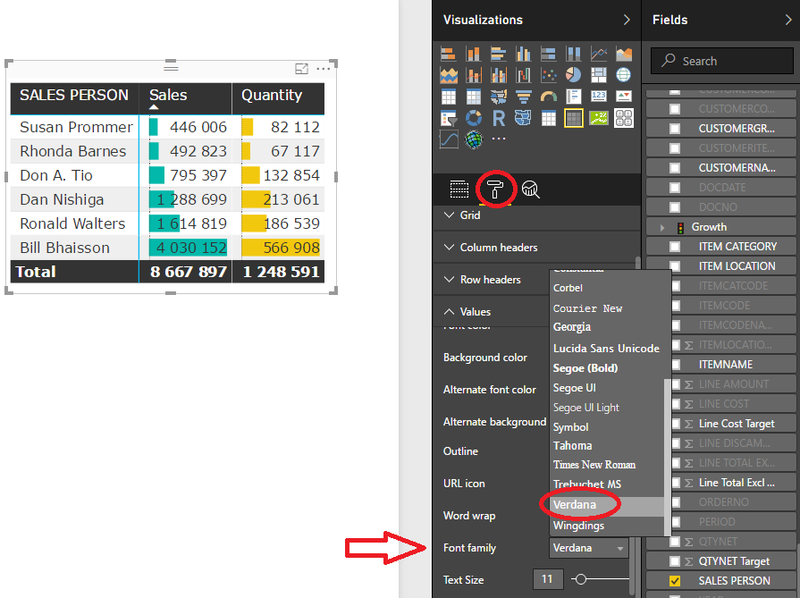 Below is an area chart which I created in Power BI Desktop. 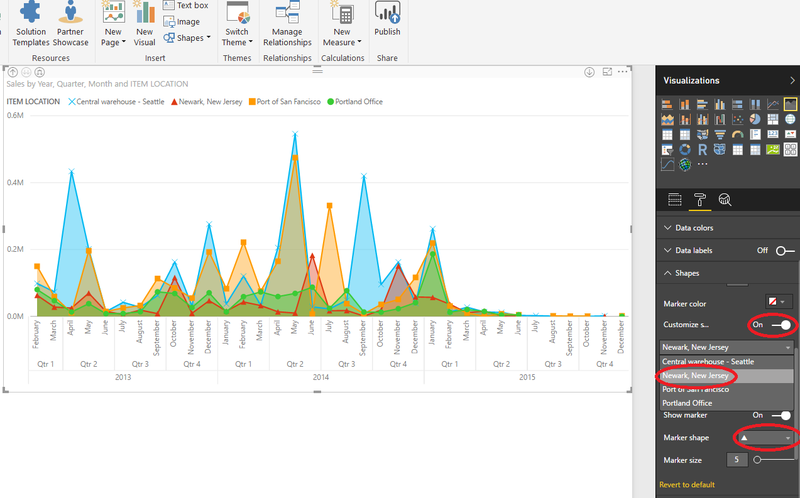 It’s a pretty good looking area chart, with the date on the x-axis and the sales on the y-axis arranged by Item Location (again we used our Power BI sales Analysis Solution Demonstration data for this example). On first inspection you might say there is nothing wrong with this chart, it looks great…..but wait, it could be better! 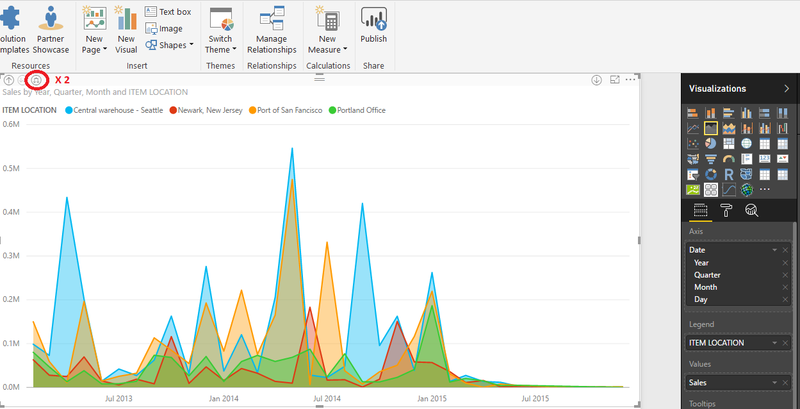 Using Power BI Desktop’s new markers feature (and a few other cool visual aids), we could take this chart from normal to stardom in seconds!! Let’s see how this is done. Next we’ll click the ‘Expand all down one level in the hierarchy’ until we get to the monthly level. Change the x-axis type from ‘Continuous’ to ‘Categorical’ – oh that looks better already!! Switch the ‘Show marker’ slider from ‘off’ to ‘on’ – how cool is that?! Here is where it gets funky….you can by switching the ‘Customize series’ slider from ‘off’ to ‘on’ select the legend item from the drop down for which you would like to assign a different marker, and select the ‘Marker Shape’. Let’s change the ‘Central warehouse – Seattle’ markers to crosses, ‘Newark, New Jersey’ marker to a triangle, the ‘Port of San Francisco’ to squares and leave ‘Portland Office’ as circles. Below we do it for the ‘Newark, New Jersey’ marker, just repeat the process for the other items. These markers takes the strain off the user by allowing them to visually see the different lines without actually looking at the legend and the chart back-and-forth. If we compare this area chart with that of the first one, you can clearly see the value in the marker visual aid. It not only looks cooler (oh yeah), but visually makes understanding what you looking at so much better. Less hard work for the user’s brain, means happier users – Power to the people!!! The last visual aid we will be exploring today are the newly introduced visual font family. While some days it may be nice to be alone, who does not like a loving, colorful family hmmm?! These font family settings are available in any table or chart you can think of, and can be changed to match your overall report style and create an even better aesthetically appealing report / dashboard. Scroll down to area for which you would like to change the font (Note that these can be individually styled for the matrix or table values, column or row headers – awesome!! And that’s it folks!! 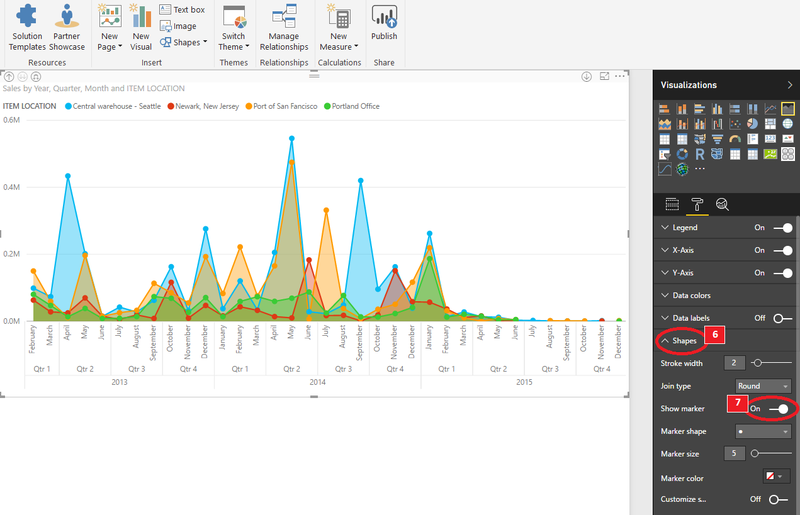 Another exciting update from Power BI to help you create beautiful and functional reports in one go. Feel free to contact us here at Data Bear, we are waiting for your call / e-mail. Until next time, keep safe, and be blessed! !